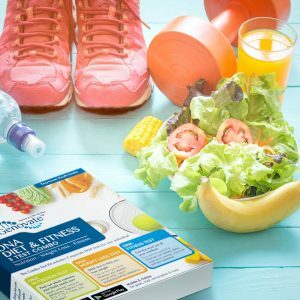 Home Lifestyle Fitness Did you know DNA affects your athletic power ability? Whoever coined the phrase “you can’t teach an old dog new tricks” probably wasn’t thinking about genes. The more scientists study our genes, the more they become convinced that we’ve barely scratched the surface on unraveling the mysteries in our DNA. For one, our physiology seems to be almost fool-proof. Often more than one genetic pathway is available to achieve the same end result. This fact is highlighted by the finding that only about 2,000 (~10%) human genes may be absolutely necessary for survival. And then there are genes that control many different traits at the same time, as well as genes that make more than one protein at a time. As if this wasn’t confusing enough, sometimes our bodies appear to work in mysterious ways, like the AGT gene. For years it appeared that angiotensinogen, the protein product of AGT, was involved in controlling blood pressure, immunity and inflammation. Now we also know that inheriting a specific version of AGT can also give us an advantage in sports that require strength and power. Traditionally, angiotensinogen (Agt) was considered to be a passive substrate of the renin-angiotensin system. This system controls our blood pressure. Agt is present constantly in our blood. However, when there’s a drop in blood pressure or salt levels, the kidney releases the renin hormone. Renin converts Agt to angiotensin I. Angiotensin I is further processed into angiotensin II by the action of the Ace enzyme. Ace is another protein also linked to athletic performance. Angiotensin II is responsible for several physiological effects. This includes increasing salt reabsorption in the kidneys and narrowing of the arteries. Narrow blood vessels restrict the movement of blood, thus increase blood pressure. Some of us naturally have higher Agt levels due to the presence of a genetic variant of AGT called rs699. This variant elevates blood pressure, increasing the risk of heart disease. It’s also linked to conditions like type II diabetes and cancer, and even athletic performance, suggesting that the role of Agt is far from simple. Power athletes, like jumpers, throwers and sprinters, are more likely to have the rs699 C variant. In one study inheriting two copies of the rs699 C allele increased the odds of becoming a power athlete by 68%. On top of that, it appears that people with the rs699 C version respond better to training targeted to improve explosive power. But, why a genetic variant that increases blood pressure also makes you better at sports that require power isn’t really obvious. There is some evidence that it may have to do with angiotensin II promoting muscle growth. However, more research is necessary to substantiate this claim. Linking AGT to athletic performance isn’t exactly teaching an old dog a new trick. It’s actually more like uncovering a trick the dog possessed that we were unaware of. Regardless, it’s a story worth following, especially if you have the version of AGT associated with high blood pressure. The odds are it will reveal just how you can lower your risk of heart attack by choosing the right type of exercise. 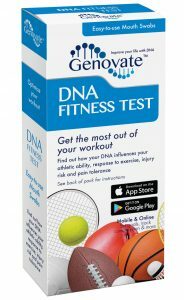 Uncover your odds by taking the DNA Fitness Test. 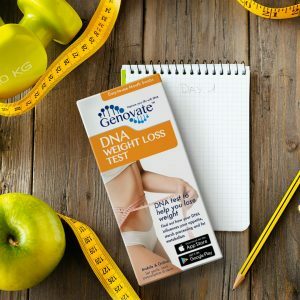 Previous articleDid you know DNA affects your muscle type? Next articleDid you know DNA can affect your blood pressure and endurance?